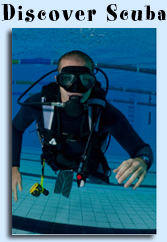 Get Set is a new promotion being offered by Scubapro. The promotion will run from 3/15/2013 – 5/3/2013. 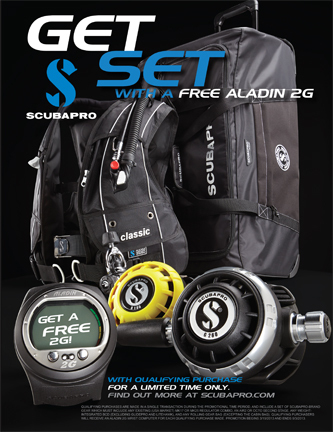 Buy a qualifying SCUBAPRO gear set and get a FREE Aladin 2G wrist! This program will run along with a Free Bag Consumer Promotion which offers a FREE SCUBAPRO Tech Bag for every Regulator Combination sale. (Offers cannot be combined). i do have a quick question about the trnsapac. would the trnsapac be a good choice for a harness for a newly certified nacd cavern diver in FL? i’m looking to get into wings soon, but i think that i want to stick to single tank dives for a bit (to concentrate on basic skills before adding a bunch of new gear). would the trnsapac allow me to dive singles, then go to doubles later? is it a good fit for cave diving? which wing would be good (if i’m diving wet in a 5/4)? This would be a good question to ask your cavern instructor!